Livelihood of the people in Nepal hills depends much upon forest resources in addition to farming as forest plays a critical role in the well being of the farming households where access to alternative sources, such as energy for cooking, nutrition for animals, materials for fertilizer and constructing materials for shelter, are limited. Thus, the well being of the people in the hills is directly affected by the management of these forest resources. 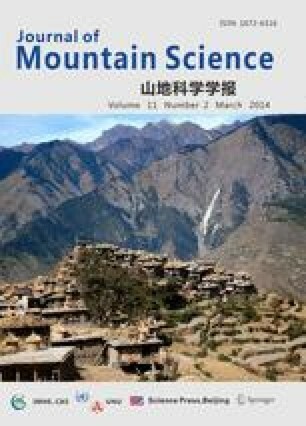 This issue was addressed in this paper by examining the forest resource management practices and its effect on well being of rural people in two different stages in a village lying in the steep hill of Mahabharat Range in the southern hills of Kathmandu valley, Lalitpur District. The main ethnic/caste groups in the village are Brahmin/Chhetri (high Hindu caste), Magar/Tamang (Tibeto Burmans) and Kami (occupational caste: cobbler). Currently there are four community forest users groups, with mixed ethnic membership, organized to manage the forest resources. The endowments, weak institutional settings, before 1990 helped the Bhramins, Magars and Tamangs to get access into the private forest endowment, which made them easy to get access to the forest resources, mainly fuel wood, fodder and timber in 1990 and enhanced their well beings. But the socially backward Kami could not get benefit from the institutions that existed during that time and had less chance to enhance their well beings. After the set up of different endowments during late 1990s, i.e., hand over of forest management to users groups in line with the concept of community forest, environment to use the forest resources became better for all the groups, along with the management of the forest. This enhanced the well beings of all the groups in the study village. However, the ability of Kami to use the forest resources to enhance their well beings was still lacking behind. The reason was partially due to the difference in endowments carried over from the endowments before 1990, and partly due to their occupational work and location of their settlements.